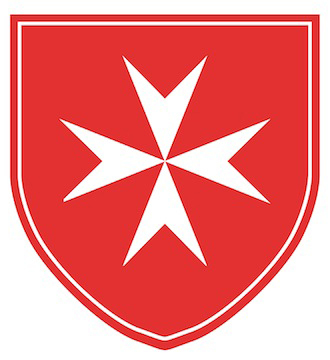 Welcome to the first in what we hope to be a successful set of short stories on Knights and Dames in the American Association that are doing great works, not only within the Order of Malta but extraordinary service to humanity in their lives. The first story in the series is about a gentleman that was recommended by his Area Chair in Michigan. I sincerely hope you enjoy learning about Ludvik (Lud) Koci, KM and his incredibly extraordinary life of 81 years. I would first like to describe Lud as a gentleman that sees no restrictions or boundaries when he has a mission to serve God. He has an unreserved submission to the present moment of living a full life focused clearly on his faith and his 60-year marriage. He exhibits a beautiful essence of love for his wife Trudy. Together, 25 years ago they, with another couple that had a child disabled from an auto accident, founded a facility called Mary’s Children to serve the needs of disabled young adults. Lud and Trudy had 8 children, several adopted from countries from around the world. One of their adopted sons, Adam, from India, was diagnosed with a rare form of degenerative brain disease at the age of 17, with a life expectancy of a few years. The limitations in this article pale in comparison to the story of their 8 children and the astonishing love and complete commitment they have for all of their children, and now grandchildren. Adam’s diagnosis brought Lud and Trudy to a new stage of life as they began to look for facilities for Adam to thrive and heal in mind, body, and soul. They soon realized they would be called to fill a much-needed void for the disabled and for the caregivers and parents. Adam Cardinal Maida and Father John Harden, SJ, priest, writer and theologian, Founder of The Holy Trinity Apostolate and author of The Catholic Dictionary, came to their assistance with the suggestion of an abandoned convent in the area. And so, the story of Mary’s Children begins, but not without great obstacles. The building was in dire need of every imaginable repair, including the complicated renovations to meet the needs of disabilities. They began using only one wing of the L shaped convent and slowly grew to what is now the entire building. Lud said through the process, it was a season of learning. He purchased beautiful pews for the chapel only to find out with the pews installed, no wheelchairs could be positioned in the chapel. So, they were all removed but he kept a couple of pews as a reminder. Lud’s intention was to create the most beautiful holy space possible for the young adults to pray and sing. 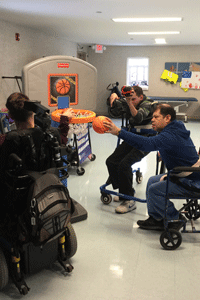 I asked Trudy and Lud in different interviews what is the best part of your day at Mary’s Children. They both replied, “to be in the chapel and hear them singing out of tune, not even the right words, but with smiles and complete unabandoned joy”. And they both said, “you must just come and see.” When Lud and Trudy say “you must just come and see”, it reminds me of what Dames and Knights say about Our Lady of Lourdes. The day care program, all privately funded, relieves the parents of the young adults and provides much needed rest and renewal. 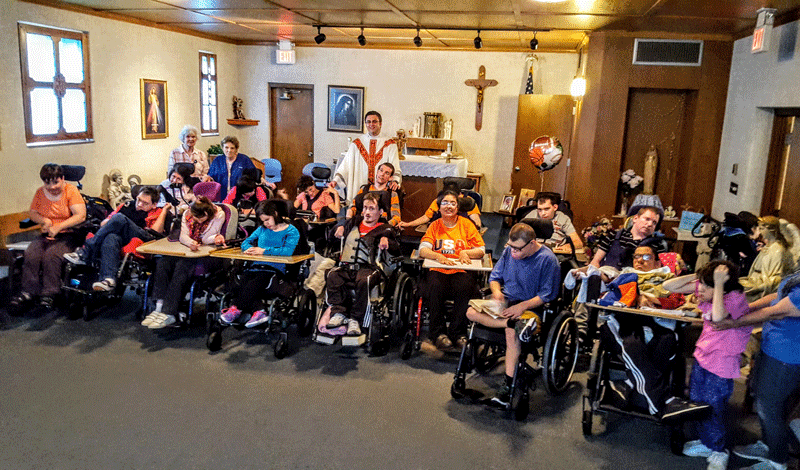 A normal day at Mary’s Children consists of prayer, the rosary, activities that enhance each participant’s interests and gifts, the day ends with the Divine Mercy chaplet at 3pm. Research evidence suggests the disabled are often excluded from religious activities, and they have an intuitive sense of the inner person. Mary’s Children nurtures and loves them with great skill and dignity. The real presence of Christ is what I believe Mary’s Children exemplifies – loving and caring for humanity, through good works. Lud and Trudy do not seem to concern themselves with obstacles or status, they go forward without fear, in joy and peace serving whoever they are, where they are, and as they are. Lud says “No matter what we have needed for Mary’s Children, God has faithfully provided”. Adam, their beloved son, lived until the age of 40 – a miracle in itself. When I asked Lud why he continued to do this work for so many years, he responded, “every human deserves to be loved”. Glory be to the Father for Lud Koci, KM. If you have a story of someone like Lud, please contact me at lmariedelrio@gmail.com. Thank you for reading and God bless! 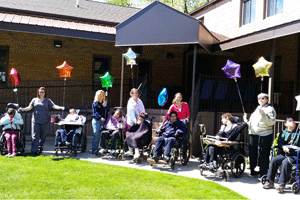 Mary’s Children Family Center is in Clawson, Michigan. For more information, visit their website at http://maryschildrenfamilycenter.org/.